Ten people have been killed and 16 more are injured after a white van struck a number of pedestrians in Toronto, police said. Police say they have one person in custody. Police have appealed to the public to provide any relevant information concerning the incident via a dedicated hotline. It is expected that an on-site investigation will take “several days,” they cautioned, warning that the area would remain on lockdown during this time. 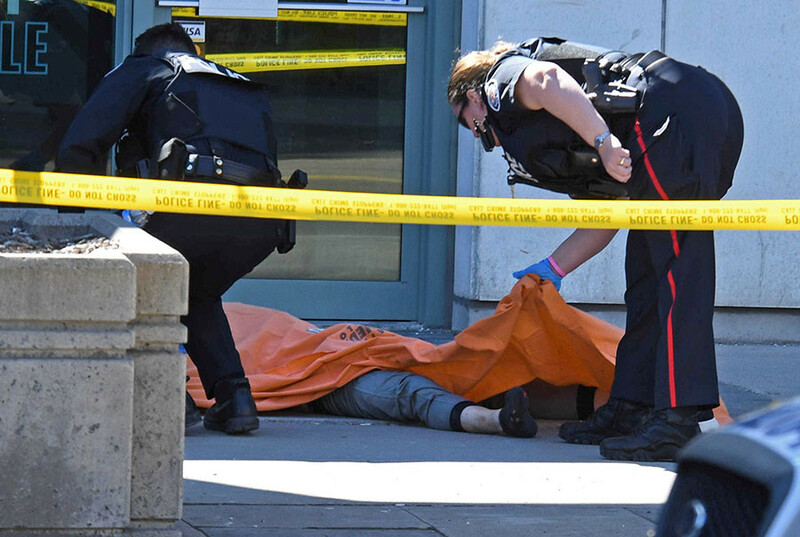 Earlier, Toronto Police Services Const. Jenifferjit Sidhu told Yahoo Canada that the investigators are not looking for any other suspects at this stage. Photos and videos from the scene show groups of onlookers gathered behind police cordons as emergency services deal with the aftermath of the incident. One video shows a person bleeding heavily while another shows a body covered with a piece of tarpaulin. 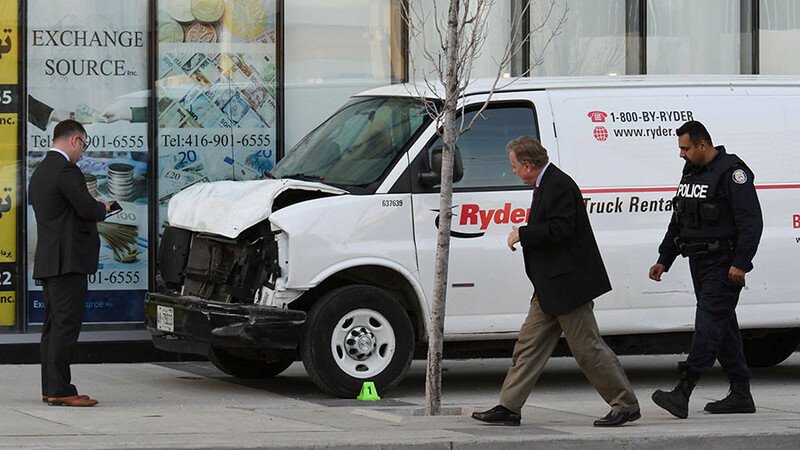 Eyewitness Alex Shaker told CTV News that the van mounted the curb at high speed before travelling southbound. “He started going down on the sidewalk and crumbling down people one by one,” Shaker said. Bystanders have posted images on social media showing the aftermath and a number of emergency vehicles attending the scene of the incident. The thoroughfares of Yonge Street and Finch Avenue East are located close to a metro station in east-west Toronto. The Toronto Transport Commission has closed off the Yonge Street station due to the police investigation. The scene of the incident is approximately 30 kilometers from downtown Toronto, where government ministers from France, US, Colombia, Croatia, and Colombia were meeting about an upcoming G7 summit. Police have dismissed reports of a shooting in the area.